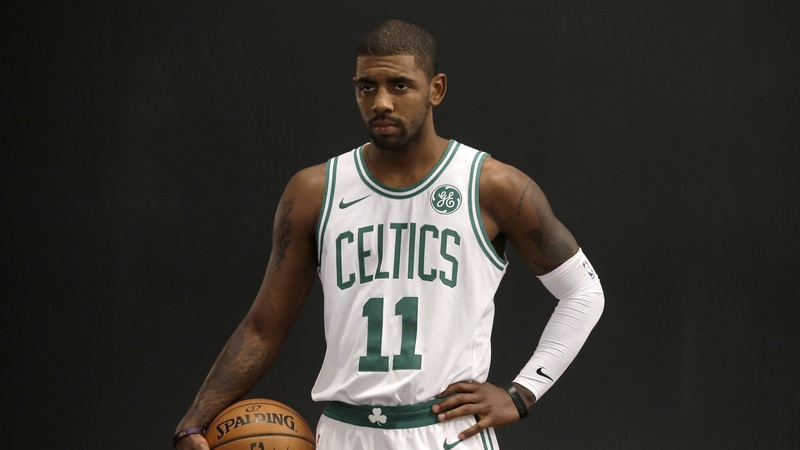 Are the Celtics now second-most popular team in Boston? Are the Celtics the No. 2 team in town? Have they vaulted over the Red Sox? This may not sound like a big deal to some of you, but it is. I can’t remember a time when the Red Sox were not first or second in the market. I’ve been thinking about this a lot in recent days. The argument is relatively meaningless and totally subjective, but lately I’ve found myself wondering if the upstart 2017-18 Celtics are more popular and relevant than the 117-year-old baseball team that just completed back-to-back, first-place, 93-win seasons. Now with the Patriots solidified as kings, the Celtics are pushing the Red Sox down to the bronze-medal platform (sorry, Bruins fans, but the Spoked-B’s are a distant fourth at this hour). Winning 16 straight games behind the electric Kyrie Irving — and boosted by rising stars Jaylen Brown and Jayson Tatum and star coach Brad Stevens — the Celtics at this moment are a bigger deal than the Red Sox. Shaughnessy indicates that the Celtics TV ratings are up 165% from last year, and there is a good reason for that. The Celtics organization is intelligent and solid, and the team is successful and damn exciting. It all started with Danny Ainge entering the front office. I had no idea what to expect from a player I had watched whine and sulk between his frequent launches of shots from everywhere. But he came through big time in his new position. Almost as impressive as Kyrie Irving's 47 points is the fact that it only took him 22 shots to do it. There’s no science. A New England sports survey conducted by Channel Media & Marketing Research in August showed that the Sox were still second in local popularity, significantly ahead of the Bruins and Celtics. But that was before Kyrie took the floor. That was before 16 straight. That was before the Celtics became the biggest story in the NBA. “Lucky the Leprechaun may well have temporarily overtaken Wally’s bullpen cart on Boston’s sports highway,’’ said Richard Johnson, curator of The Sports Museum of New England. Whether the Celtics are second or third in popularity is not important. But the fact that they showed a large increase in TV ratings over last year is important, as is the excitement that this group generates. Our team is the talk of the League, and deservedly so.